Rough Justice 1976 L to R: Mike Farrell, Patrick Bleakley, Steve Garden, Rick Bryant and John Key. After spending twelve months in Witako Prison for a cannabis conviction, the first thing Rick Bryant did upon release in late 1976 was form a band. Rick had previously had a long career with Original Sin, Gutbucket, Mammal, and Blerta. He approached guitarist-songwriter Fane Flaws and then recruited double-bassist Patrick Bleakley. The man Bryant really wanted in the group was guitarist Mike Farrell, who agreed to join provided drummer Steve Garden be included. The line-up was completed with the inclusion of ex-Blerta keyboardist Chris Seresin. Farrell had a number of compositions which he was keen to have included in the repertoire, but during rehearsals he soon learnt that he wasn't the only songwriter in the group. His Little Feat inspired compositions had very little in common with the original compositions of Fane Flaws. Very quickly it became apparent to Rick that the line-up was not going to work, and he was forced to ask Fane to stand down. 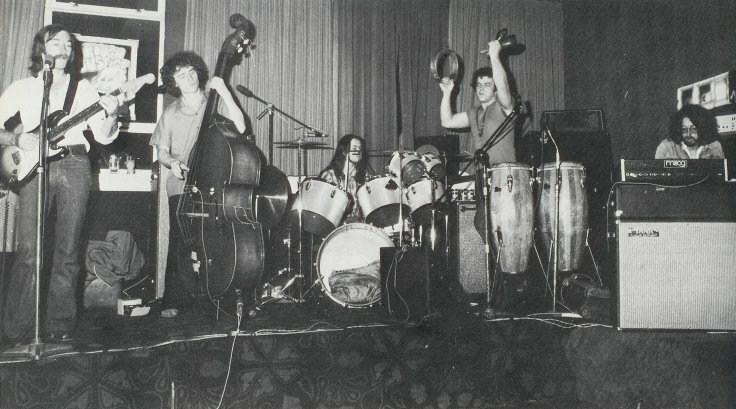 In October 1976, the as-yet unnamed band debuted at the launching of an art exhibition at the Wellington World Trade Centre, playing a mixture of R&B standards, Little Feat covers and Farrell originals. Chris Seresin left shortly after this and was replaced by John Key. In November 1976, now with the name Rough Justice, the quintet took to the road. It was a pattern of continuous touring, but they were still not a happy group, with arguments developing between Bryant and Farrell. By April 1977, Bryant had had enough and he left the group he had formed. The remaining members carried on for a short while as the Whale Bay Boogie Band. Rick started putting together a new line-up, which would become Rough Justice MkII. He started with an old mate, guitarist Peter Kennedy, who had played part time with Rick and the Rockets. Second was a promising young bassist he had come across in his Mammal days, Nick Bollinger. Nick introduced Rick to friends Martin Highland (drums) and Steve Jessup (saxophone). Armed with a repertoire of R&B and soul standards, this new version hit the road in an old decorated bus. In New Plymouth they met a young pianist, Simon Ward. He was invited to join the group. In November 1977, Simon Ward left and he was replaced by Mike Gubb. A seventh member, Peter Boyd, was added on saxophone. In January 1978, this line-up arrived in Auckland, where they knew the going would be tough. L to R: Mike Gubb, Steve Jessup, Peter Boyd, Martin Highland, Rick Bryant, Nick Bollinger and Peter Kennedy. In January 1979, Dennis Mason, who had played with Arkastra, replaced Steve Jessup on saxophone, and in an endeavour to boost the percentage of original material, another guitarist came in, seasoned songwriter Tony Backhouse. Tony had become available after the demise of the Spats. By now Rough Justice were attracting large crowds around the country. But it was at the height of their popularity that they began to fall apart. Because of the size of the group, individual members earned less than members of less popular bands. Rick maintained that the most important thing was the music and overall sound. As such he would casually add more members where necessary. 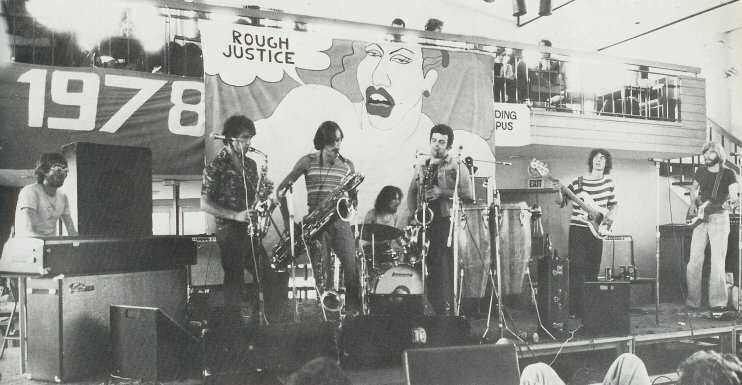 It was a situation that some of the guys were unhappy with, and Rough Justice played their last gig in Wellington on July 24, 1979.